People readily assume that anyone computer literate is fluent in English. After all isn’t most software in use from the United States? The truth is most popular software come with language packs, software localization being used for that . There are a lot of people in the world, computer programmers included, who are very tech savy but don’t understand a word of English. As much as your software is useful and user friendly, if it is not available in their language they will not even give it a try. Which is a shame for them because they will be missing out on what your software has to offer. And a shame for you because you will be missing out on sales and profits to 80% of the rest of the world. So what to do? Use software localization services. 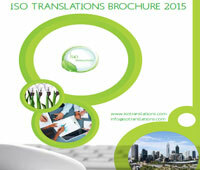 You only need to have the text in your software translated to its corresponding equivalent in the target language. 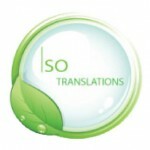 Then you take that translation and incorporate it into versions of your software. With the internet nowadays it’s so easy to find any translator for any language to do software localization services for you, and at competitive prices. It’s better to find fellow developers who can also do translation. Or find a translation agency which has both developer and translator. A developer who is can speak the target foreign language would be familiar on the right codes to display the characters of that language properly in the software, especially if it doesn’t share the same Roman alphabet as English, or uses additional diacritical marks. And you would be making connections with fellow developers around the world. Very useful for your sales now as well as for your future projects. Software localization is not just about making your software understandable to others. It’s also about making sure that there’s nothing that could offend other cultures, as well as knowing what features would work better for other countries. Sales aside, there is nothing quite like the feeling that the software you have made is being used across the globe. All thanks only to software localization.